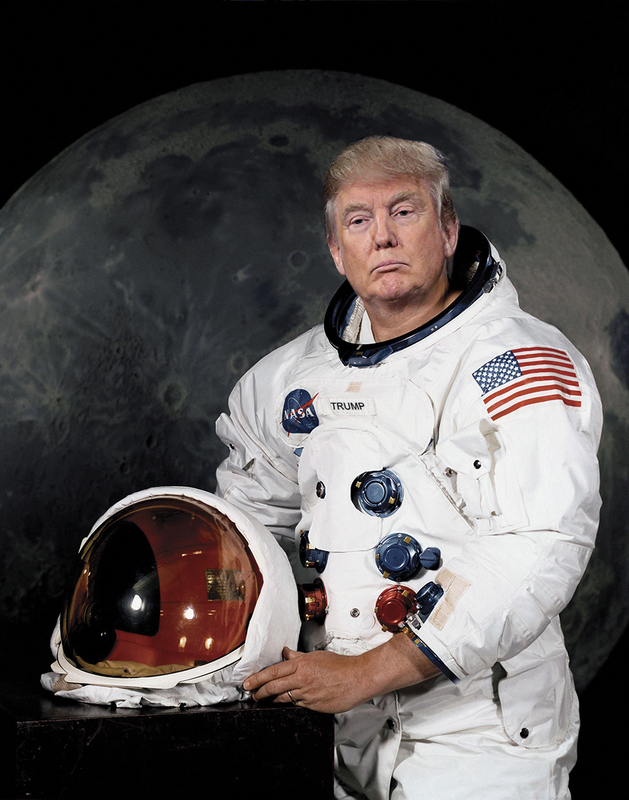 Bay Area Houston: Lost in Space Force. Yeah. He said that. Turns out the only person who thinks this is a good idea is trump. Even Pence acted Luke Skywalker warm to it, but his daddy told him to sell it. And he did but not sell it very well. Pence forgot to mention this idea has an out of this world price tag of $8Billion for initial setup. None of which will go towards exploring space, going back to the Moon or working towards Mars. None. On top of that there will be a need for another layer of Generals, Colonels, Majors, Captains, and Lieutenants as well as their personal assistants and staff required to manage the new military branch of space roving Buzz Lightyears. This all costs even more money for the military complex. Pence was standing in-between the Boeing CST-100 and the Space X Dragon mock ups as if NASA will have anything to do with this Space Farce. With a $1.5 Trillion deficit, a looming $40Billion Worthless Wall that Mexico will be paying for, and about $12Billion for a proposed Ike Dike to protect the insurance industry, there isn't much money available to fund Trump's Space Farce. Maybe they will raid NASA's funding. That would almost be funny. Almost.